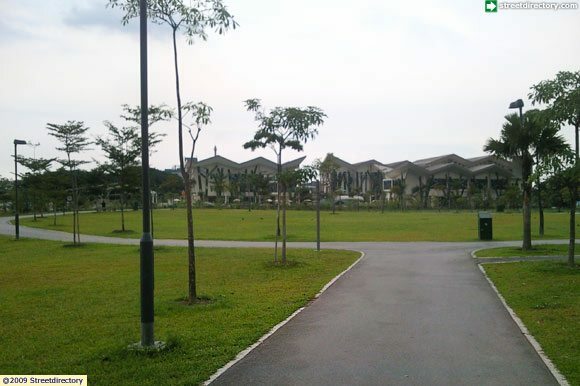 Jurong Central Park | JustRunLah! A place for you next family outing in the West. 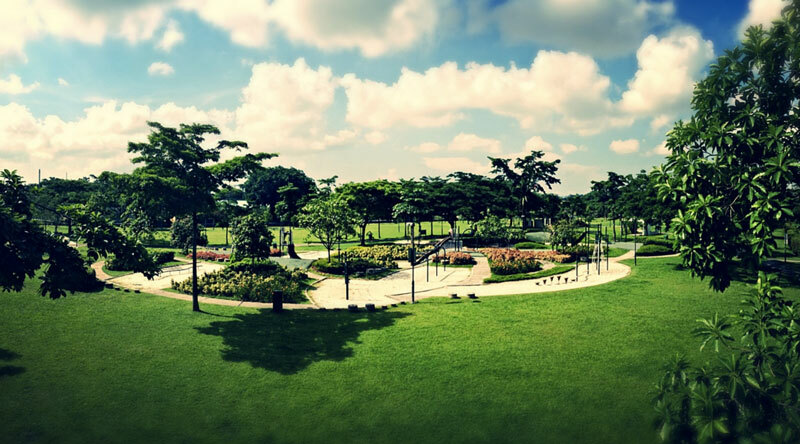 Conveniently located at the doorstep of a bus interchange and MRT station, Jurong Central Park is a large neighbourhood park situated in the west of Singapore. 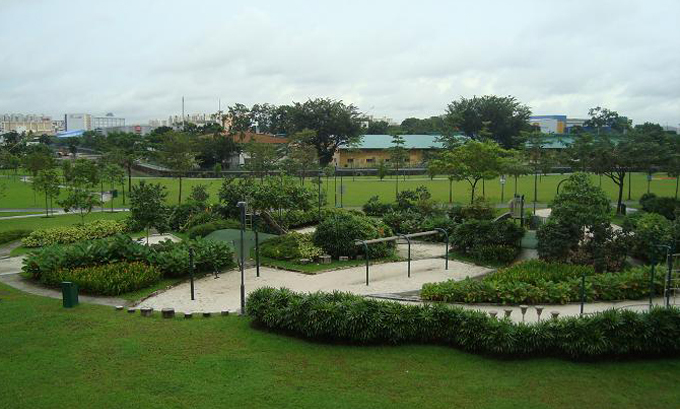 With its beautifully scaped gardens and various facilities, it is an ideal park to spend a leisurely or active weekend at. 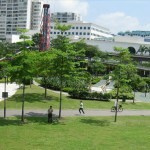 Suitable for families with children, it is the first park in Singapore to have live-size board game features like the Snakes and Ladders playground and Ludo Garden. The various pavilions and sitting areas make it ideal for picnics, especially with the vast array of food and drink outlets situated close by. 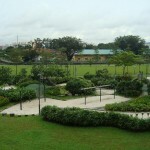 For the more actively-inclined, there is a fitness corner, as well as a 2km cycling+jogging track that winds its way around the park. 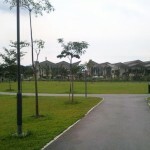 – The Jurong West Park Connector leads to the Jurong West Neighbourhood Park. 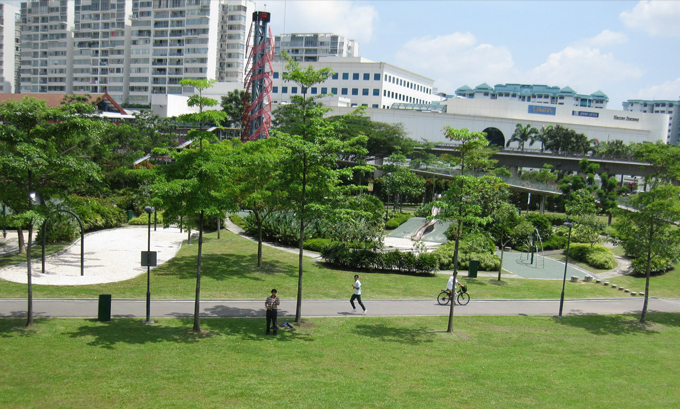 – The Jurong Park Connector branches in two directions. Head south and you will eventually reach the Jurong Bird Park. 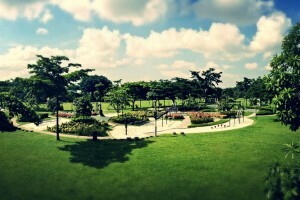 Follow the park connector east to reach Jurong Lake Park, where the Chinese Garden and Japanese Garden are located. A car park is situated beside the 24 hours McDonald's. Alternatively, you may wish to park in the underground car park at the nearby Jurong Point mall. Water coolers are located by the toilets. The closest MRT station is Boon Lay (EW27). Alternatively, if coming by bus, you may take any bus that terminates at the Boon Lay Bus Interchange. Shower facilities available by the toilets.